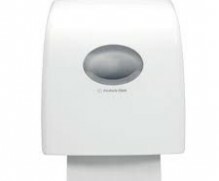 Paper towel holders and dispensers make for seamless and convenient operation of hand- and roll towels. We have perforated and non-perforated options available. You may require longer pieces of towel at a time and there isn’t a necessity for neat cuttings for example at a car wash whereas kitchen roll towels are generally perforated because it provides a quick, smooth motion of tearing a piece of towel and only small sheets are required. The roller towels we stock can be used for industrial applications as well as in the home or office. 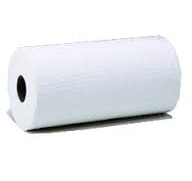 The high performance paper roll towel quickly absorbs spills without tearing. Being environmentally conscientious is one of our main priorities and it can be at the top of your list too by purchasing our 100% recycled, biodegradable roll towels that have been manufactured using recycled material. 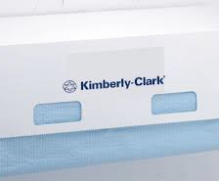 Our roll towel dispensers are easy to use and come in a variety of sleek designs. 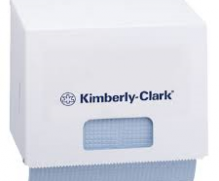 We vote against large and clunky machines that just take up space, so you can have a simple hand towel solution in your home or office. 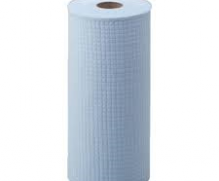 For a convenient roll towel and dispenser combination, contact us today, our friendly consultants are at hand to assist.